Elavon Converge Virtual Payments allows you to take credit card details directly on your checkout page. Your customers never need to leave your site! Allows you to take credit card details directly on your checkout page. 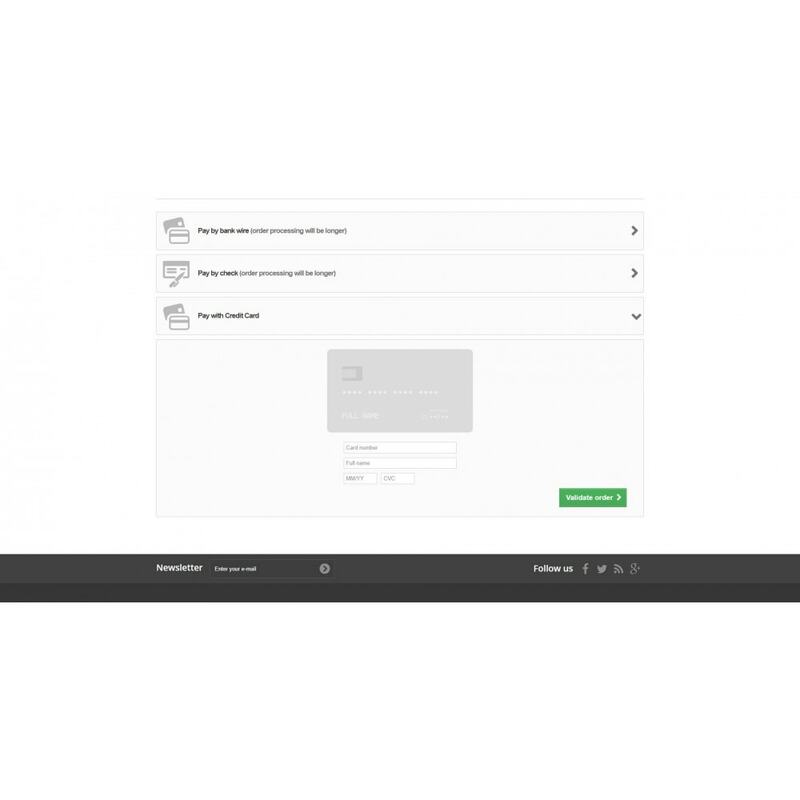 Allows you to authorize and capture payment instantly. 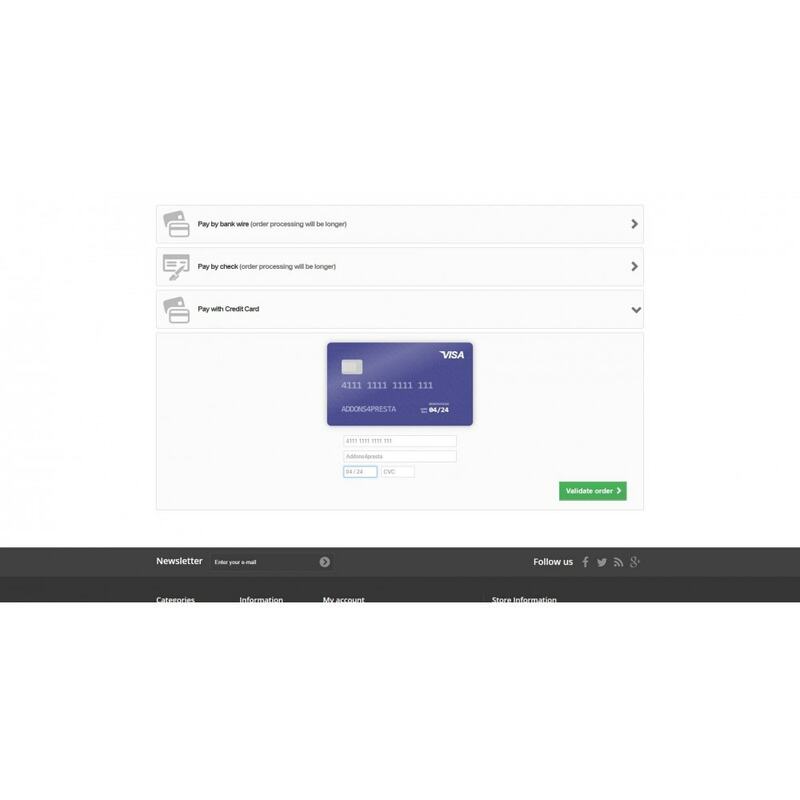 Allows you to authorize and capture payment later (delayed capture). 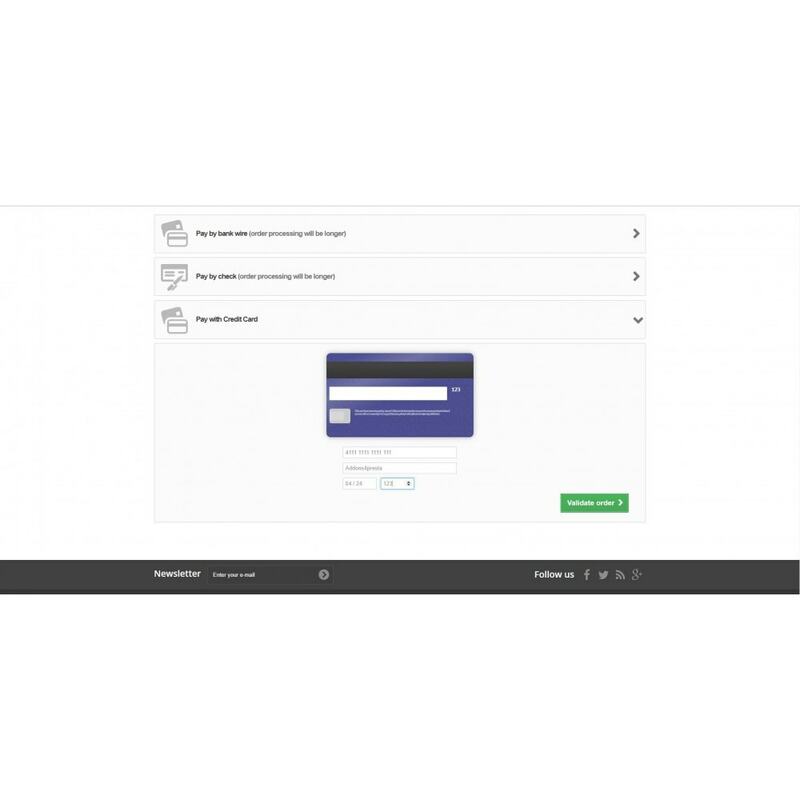 Allows you to keep customers on your site throughout the checkout process. Simplified compliance with Payment Card Industry Data Security Standards. 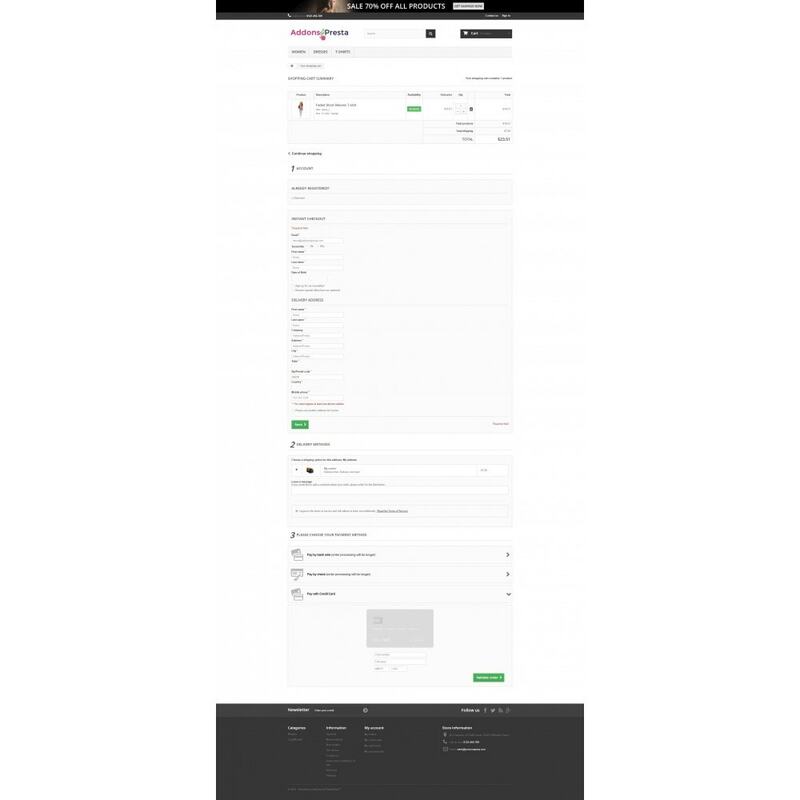 Fully integrates with your checkout page and maintains a consistent look and feel. Maintains a history of transactions. 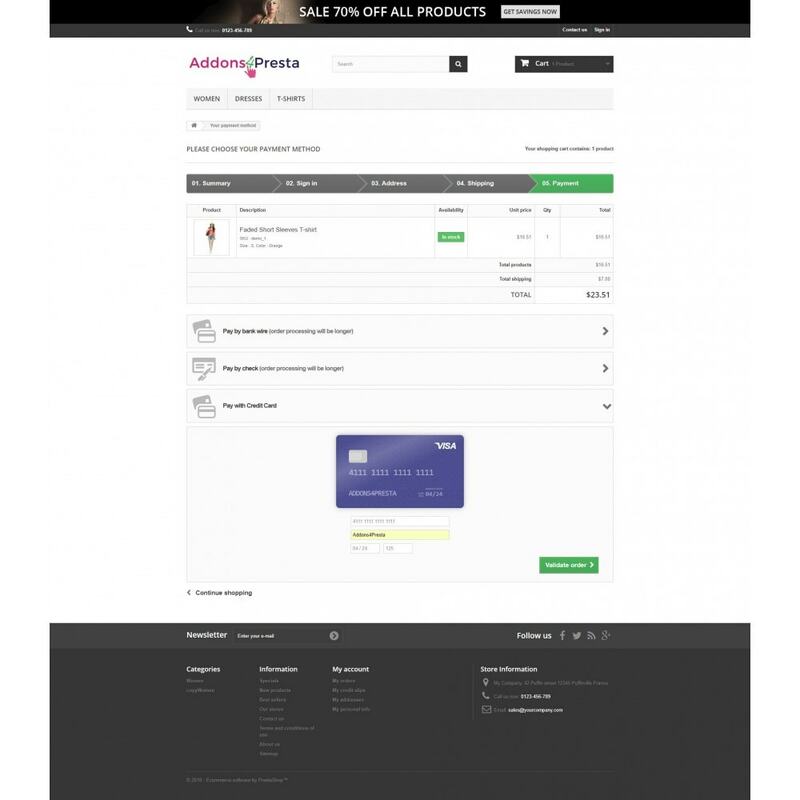 Developed by a PrestaShop Partner Agency. 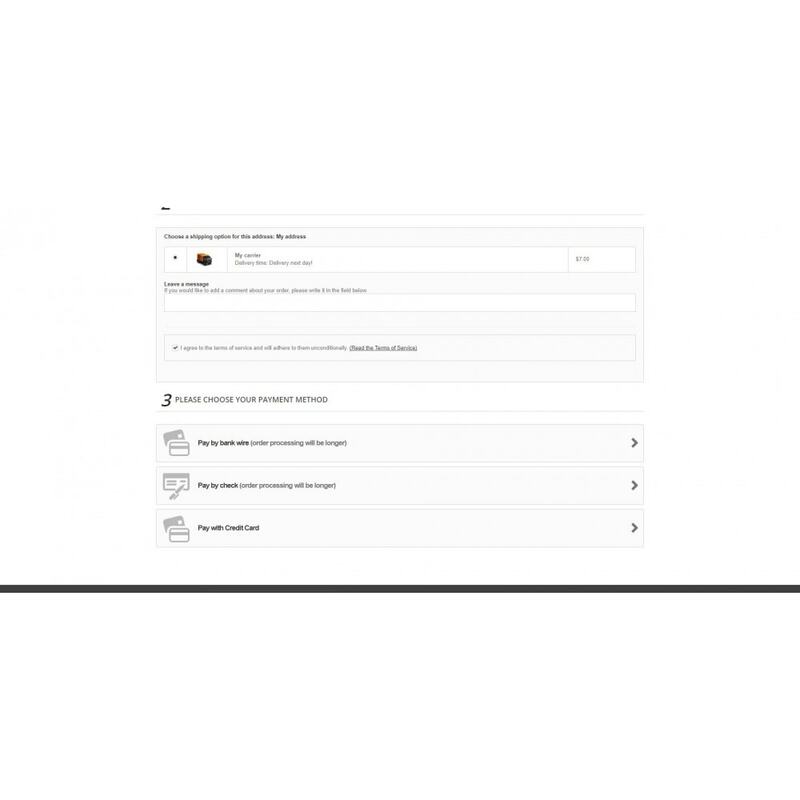 Completely responsive and mobile ready - layout looks great on any screen size. 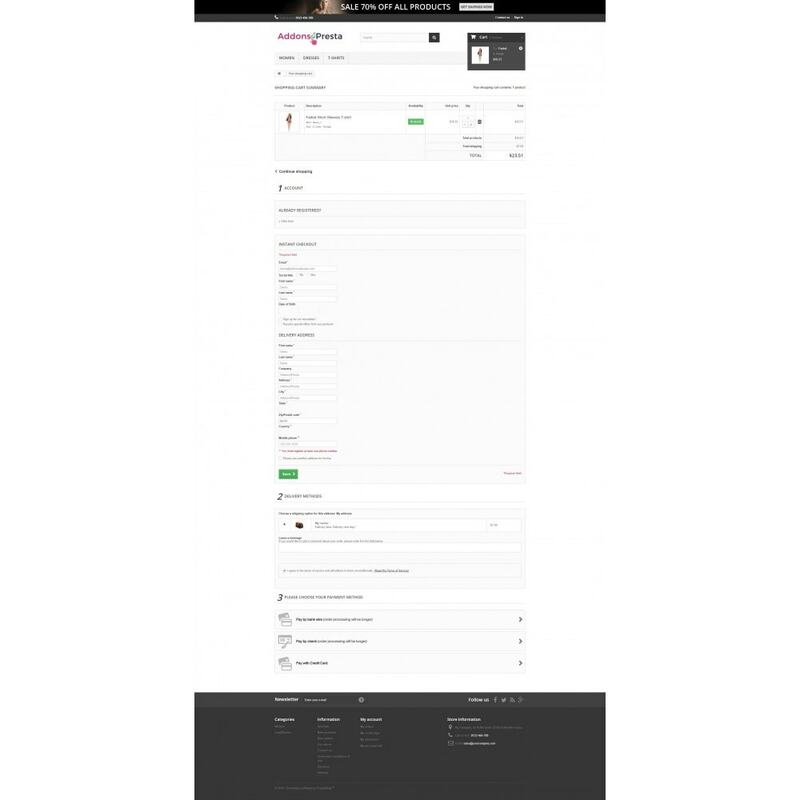 Customers pay directly without leaving checkout page. Supports a large number of credit cards. 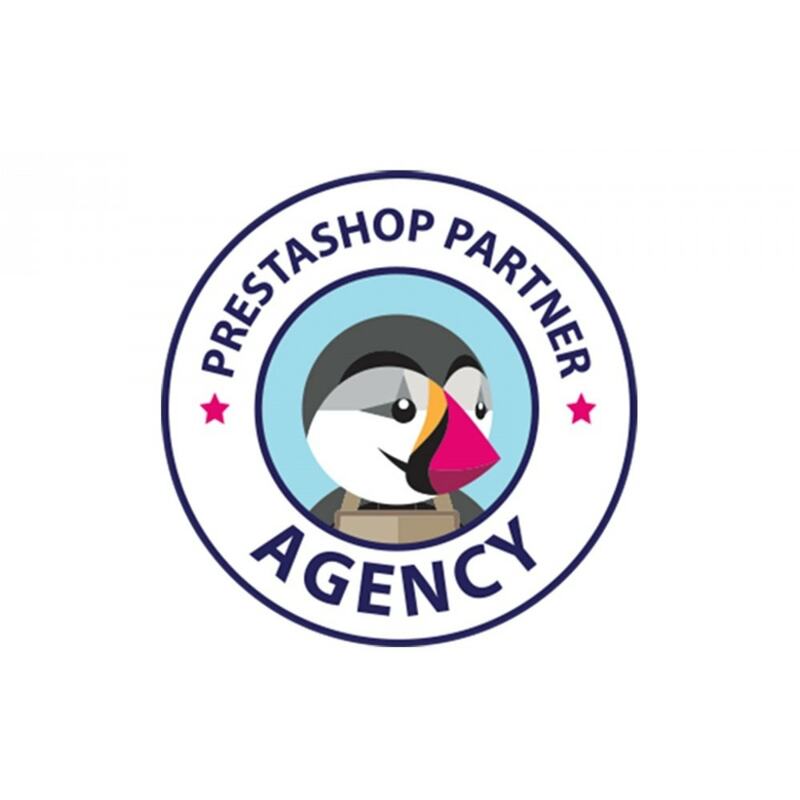 Designed and built by experienced PrestaShop developers. 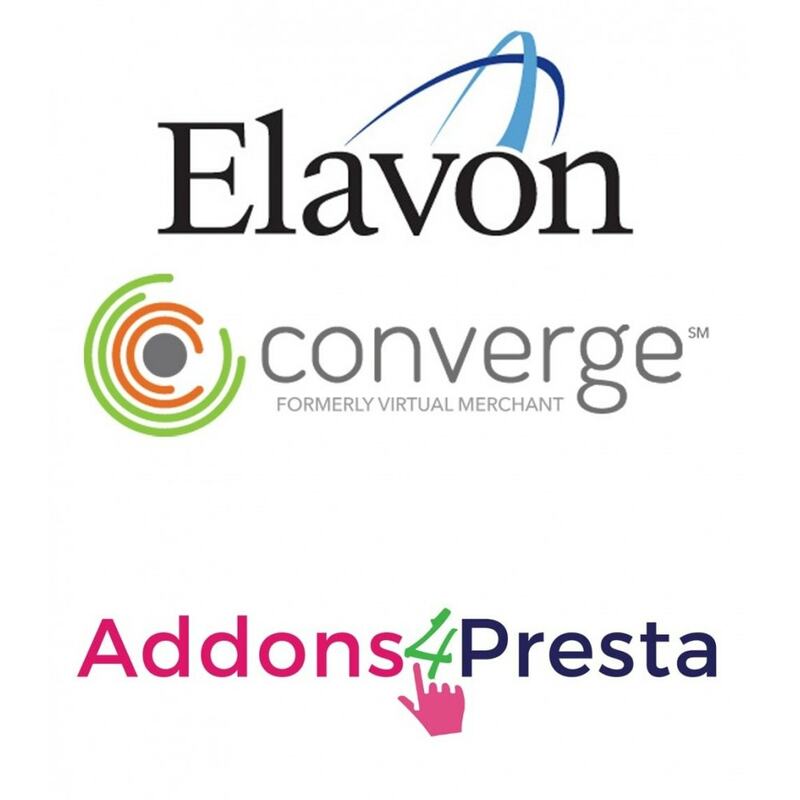 Exceptional after-sales support for Addons4Presta customers. Each purchase comes with 3 months of free support. Trouble installing our module? We'll do it for you free of charge! Addons4Presta customer support available in English, French, and Spanish. Sleek animated credit card information capture. Must have a valid Elavon Converge account. An SSL certificate is required to ensure that customer credit card details are safe. Installation is AS EASY AS 1 CLICK! Upload your purchased module and click install.